Welcome to our website! Here you will find information on author William Link, including his books, television work, and upcoming appearances. Please check back with us soon, as we will be adding more content, including exclusive information and excerpts found no where else! We'll also be letting you in on Link's latest endeavor, his autobiography," Hollywood Here We Come." Stay tuned for more details as they develop! November 20, 2017 - New York, NY - Jane Langton, William Link, and Peter Lovesey have been chosen as the 2018 Grand Masters by Mystery Writers of America (MWA). MWA’s Grand Master Award represents the pinnacle of achievement in mystery writing and was established to acknowledge important contributions to this genre, as well as for a body of work that is both significant and of consistent high quality. 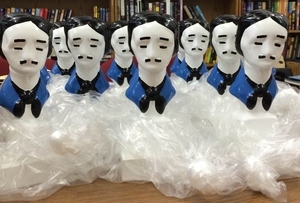 Ms. Langton, Mr. Link, and Mr. Lovesey will receive their awards at the 72nd Annual Edgar Awards Banquet, which will be held at the Grand Hyatt Hotel in New York City on April 26, 2018. READ MORE NEWS AND ARTICLES HERE. 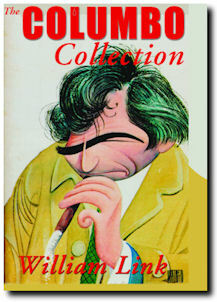 William Link's collection presents 12 original COLUMBO short stories. JUST ONE MORE THING Lieutenant Columbo -- short, unkempt, shapeless raincoat flapping open, unlit cigar in his hand-- turns towards the murderer who is certain that this undistinguished plainclothesman will never see through his perfect crime. 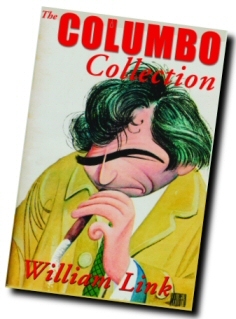 With The Columbo Collection, Link has written 12 brilliant new stories in which murderers try to get away with murder but come up against the rumpled but unflappable Lieutenant Columbo. READ THE REVIEWS! Click here. Visit www.crippenlandru.com or call toll free 877-622-6656. Be sure to LIKE US at the official COLUMBO COLLECTION Facebook page! For all things Columbo, we recommend THE ULTIMATE LT. COLUMBO WEBSITE! Website copyright 2017 by William Link.